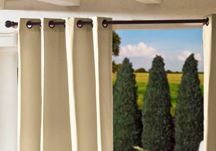 Curtains and drapes are an important element in the design of your indoor and outdoor living space. 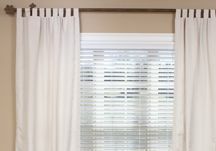 The best way to get a unique look is to have custom-made curtains created with your choice of fabric. Types of Curtains and Drapes? 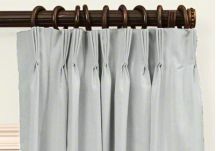 Choose from a variety of curtains and drape styles: rod pocket curtains, grommet curtains, tab top curtains, tie top curtains, flat top curtains, pinch pleat curtains, French pleat curtains, goblet pleat curtains, and clip top curtains. Choose your favorite style to enhance your living space. We now offer silk dupioni fabrics along with our wide variety of Sunbrella fabrics! 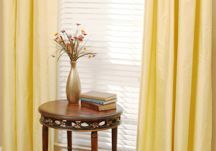 We offer more than just custom curtains. We also carry a collection of collegiate curtains, drapery hardware, and valances for your nursery and kid's rooms. Coordinate custom throw pillows and custom cushions to bring a cohesive look to your home!